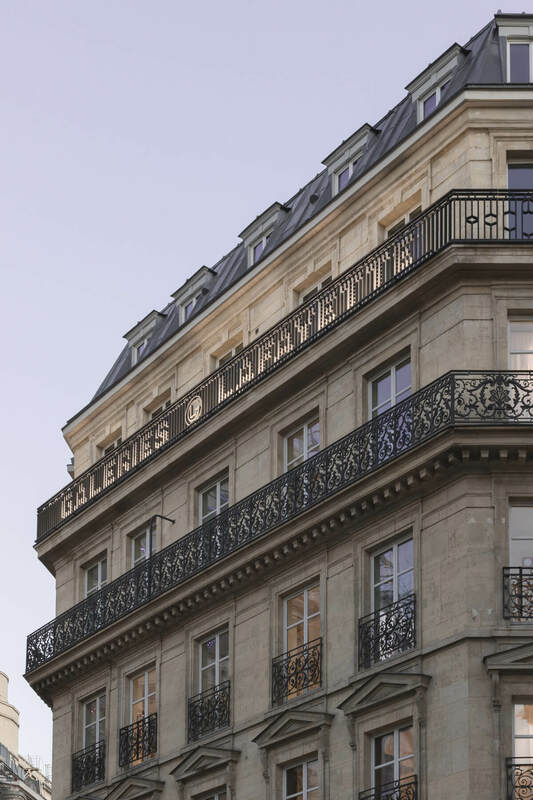 The Galeries Lafayette sign was created in 1899. It has been their main influence tool since then. This sign is closely linked to the building’s and brand’s history. 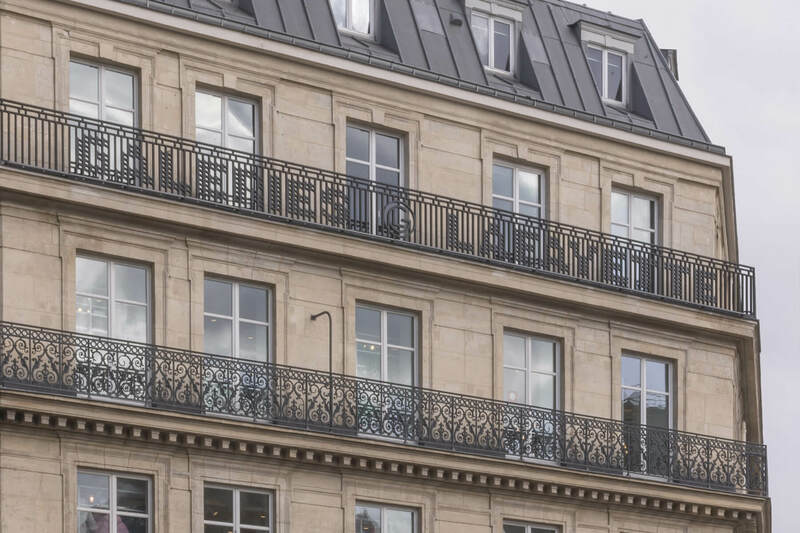 The City of Paris has recently decided to remove all the illuminated signs from the roofs in order to preserve the aesthetic unity of the monuments and symbolic places. This is how we came up with a new handrail concept to fit the 5th floor of the Haussmann Boulevard 1-3 in Paris. 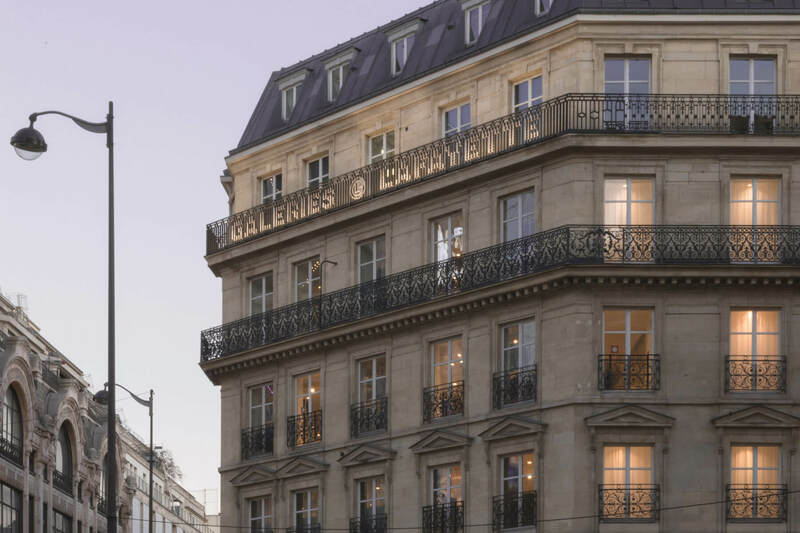 Its design is a compromise between Parisian modernity and the history of the Galeries Lafayette. The « bodyguards » are a strong icon of the haussmanian architecture. They are the main medium of expression and fantasy within those very straight and square buildings. We wanted to fit these codes by reinterpreting the haussmanian pattern. 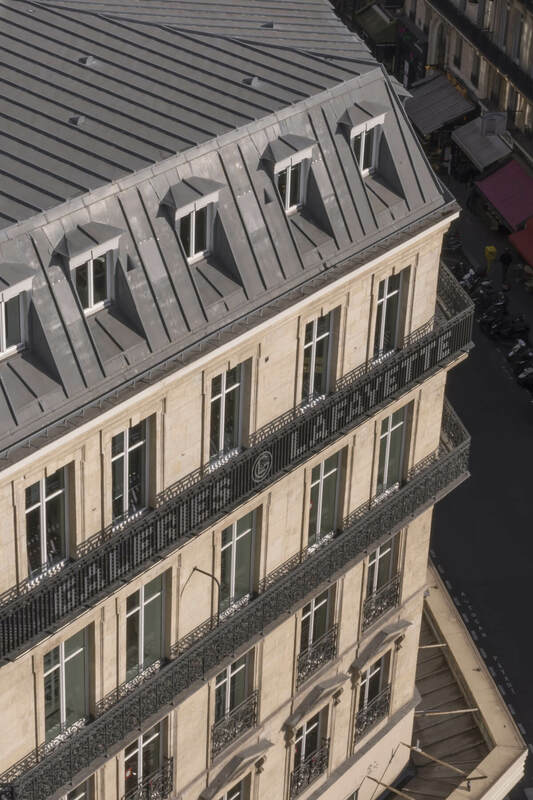 We played with the thickness of the material to form the letters « Galeries Lafayette », fit in the existing pattern and keep the architectural continuity. We chose a typography without serif to make the sign very readable and genuinely modern. In the middle of the sign is placed a minimalistic interpretation of the GL monogram. The entire piece is made out of fibered concrete (Bfhup) which allows a real delicacy and sharpness of the global shape. The surface has been covered with réflective glass micro balls to make it clear and visible day and night.